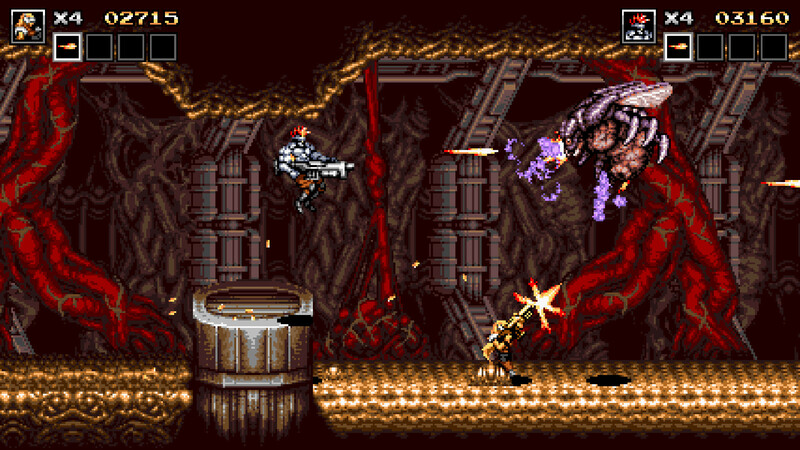 New (blatant) Contra clone by JoyMasher coming "Early 2019". 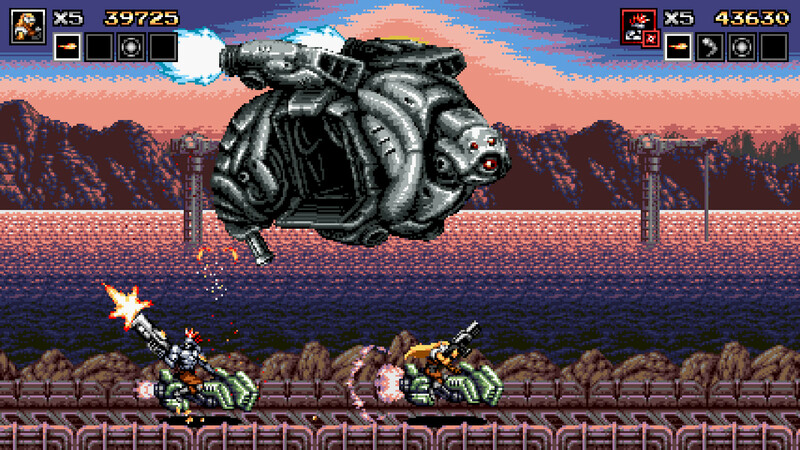 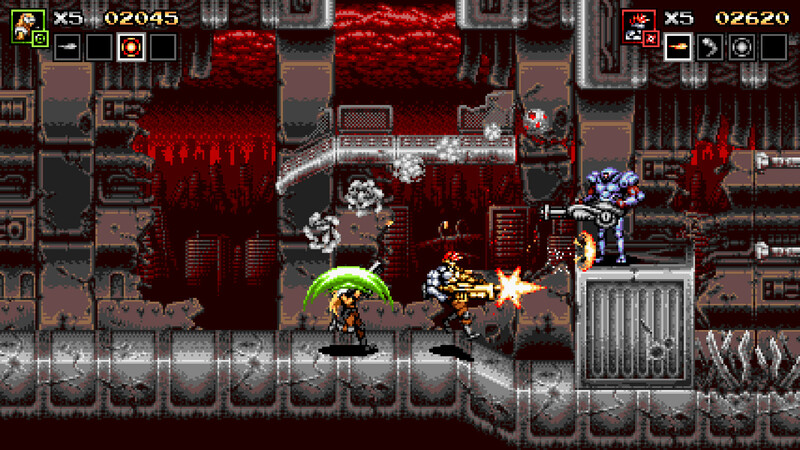 JoyMasher wrote: In Blazing Chrome, bring your best pal and kick some metal butts to free the humankind while enjoying a classic run’n’gun, fully loaded with action and exciting fights! 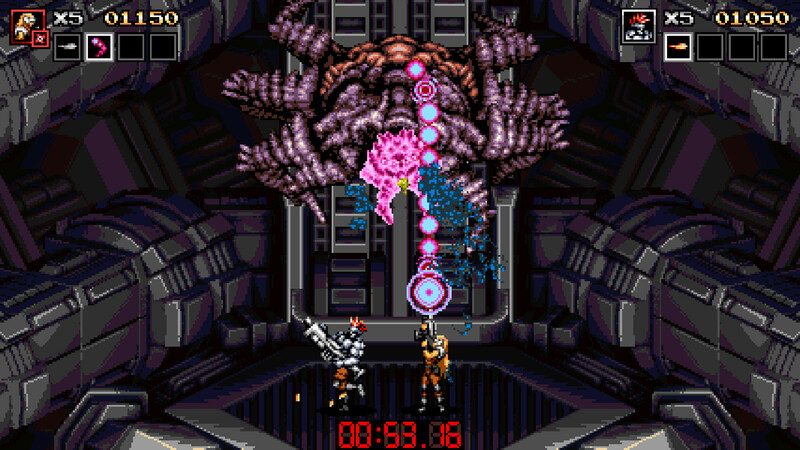 A bit too much purple for my tastes, but otherwise looks pretty nifty. 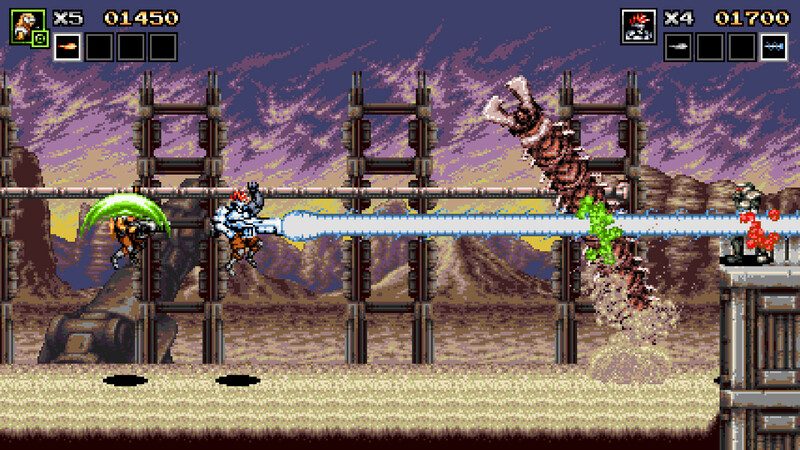 I wonder how it would look with scanlines.